In this paper, we discuss the trajectory switching neural control problem for the switching model of a serial n-joint robotic manipulator. 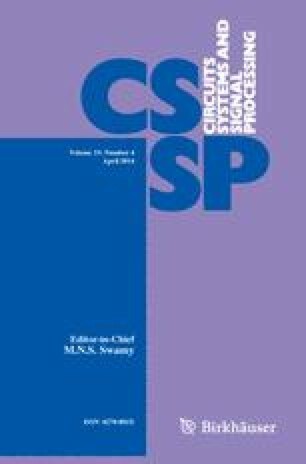 The key feature of this paper is to provide the dual design of the control law for the developed adaptive switching neural controller and the associated robust compensation control law. RBF Neural Networks (NNs) are employed to approximate unknown functions of robotic manipulators and a robust controller is designed to compensate the approximation errors of the neural networks and external disturbance. Via switched multiple Lyapunov function method, the adaptive updated laws and the admissible switching signals have been developed to guarantee that the resulting closed-loop system is asymptotically Lyapunov stable such that the joint position follows any given bounded desired output signal. Finally, we give a simulation example of a two-joint robotic manipulator to demonstrate the proposed methods and make a comparative analysis. The work is supported by the National Natural Science Foundation of China (Nos. 61104068, 61174076, 61104119), Natural Science Foundation of Jiangsu Province, China (BK20130331, BK20130322), China Postdoctoral Science Foundation funded projects (2013M530268, 2013M531401), Jiangsu Planned Projects for Postdoctoral Research Funds (1301150C), Natural Science Fund for Colleges and Universities in Jiangsu Province (13KJB510032), the Key Technology Research and Development Program of Suzhou, China (SG201319). The authors would like to thank the referees for their constructive comments.